Summer Family and Children's portrait sessions are so fun - it's a great time to get your family pictures updated while the kids have a break from school! 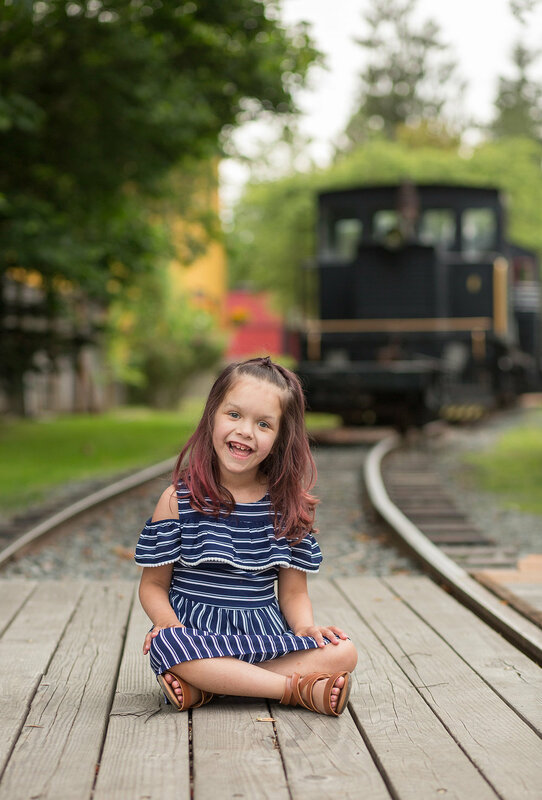 The S family contacted me about a kids photo session for their 3 little ones, especially little miss K, who has been bravely fighting with a heart condition and is a heart warrior! This tight knit family showed their love for each other all session, especially big brother, who was so sweet with his sisters! 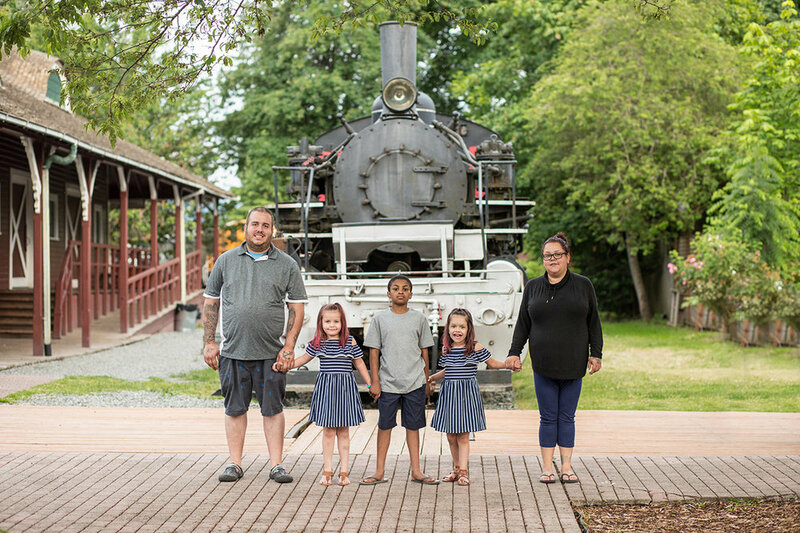 We chose Northwest Railway Museum because Miss K loves trains, especially Thomas the tank Engine - so this was a perfect place to safely get some train themed portraits.